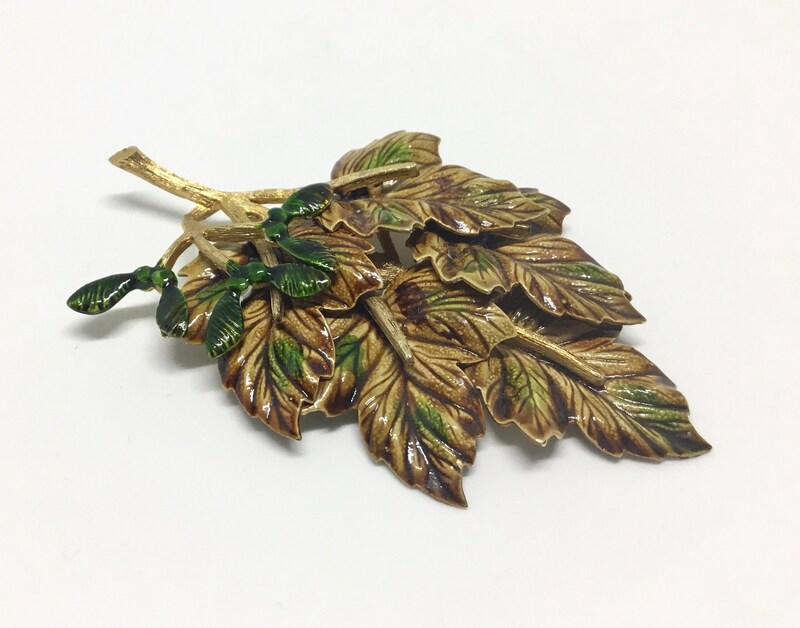 This is a wonderful large vintage 1960s Weiss signed enamel leaf brooch. This is a cluster of maple leaves with a spray of seed pods. 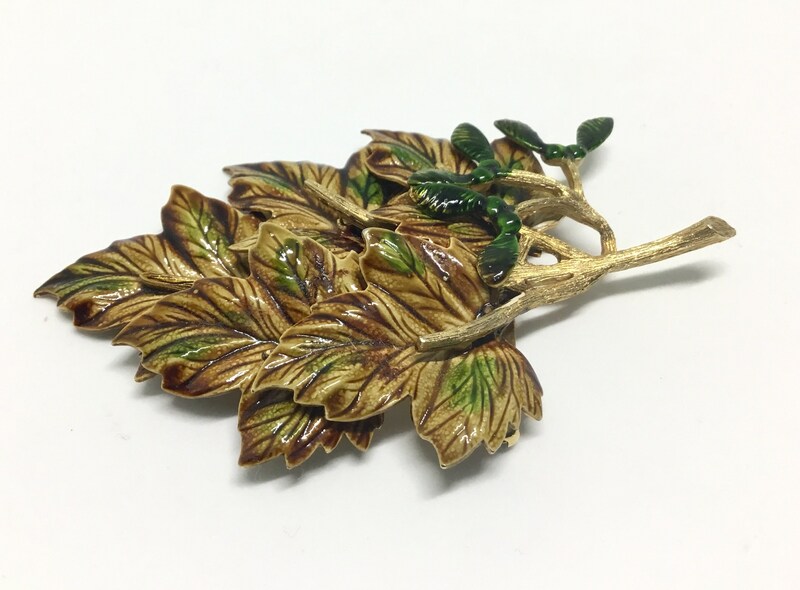 It features great detailed leaves in enamel shades of browns and greens. 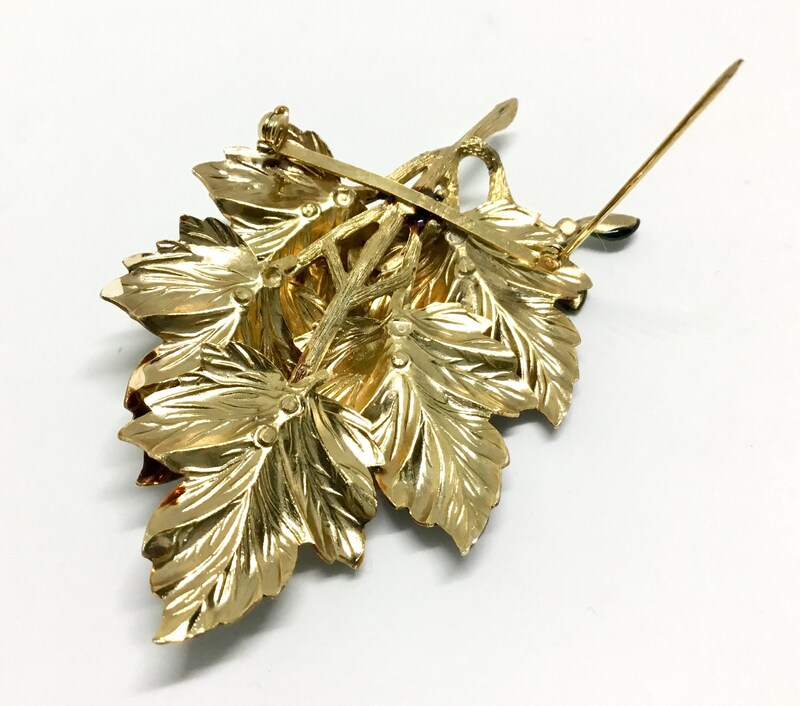 The seed pods are a dark green and the stems of the leaf are goldtone. 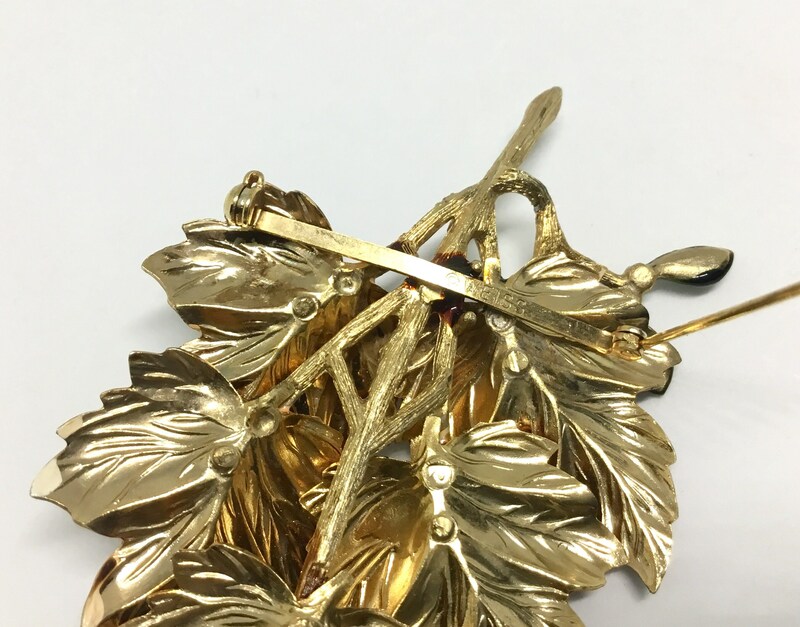 It measures 3 1/4” x 2 1/4” and the pinback is straight and works smoothly and securely. 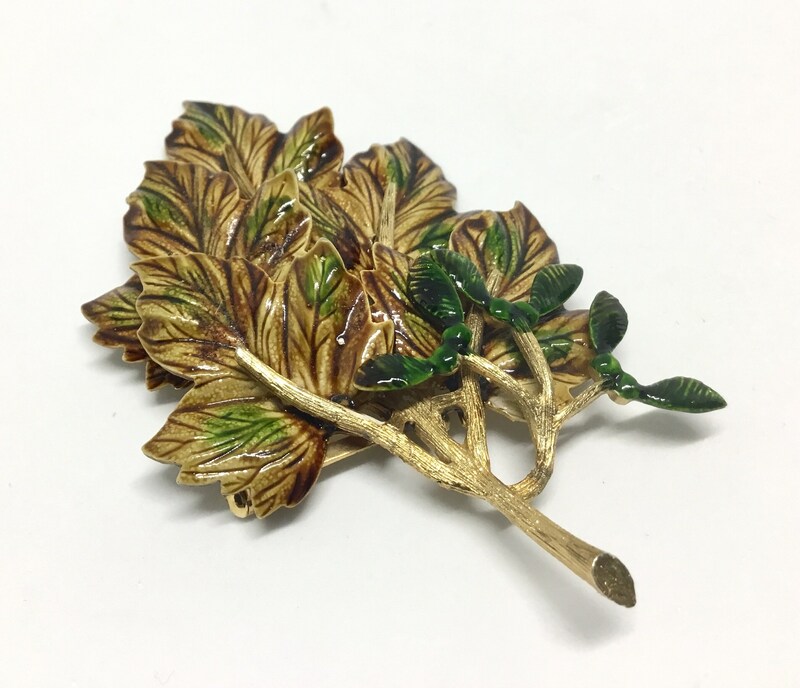 It is signed ©️WEISSon the pin stem and the brooch is in excellent condition. 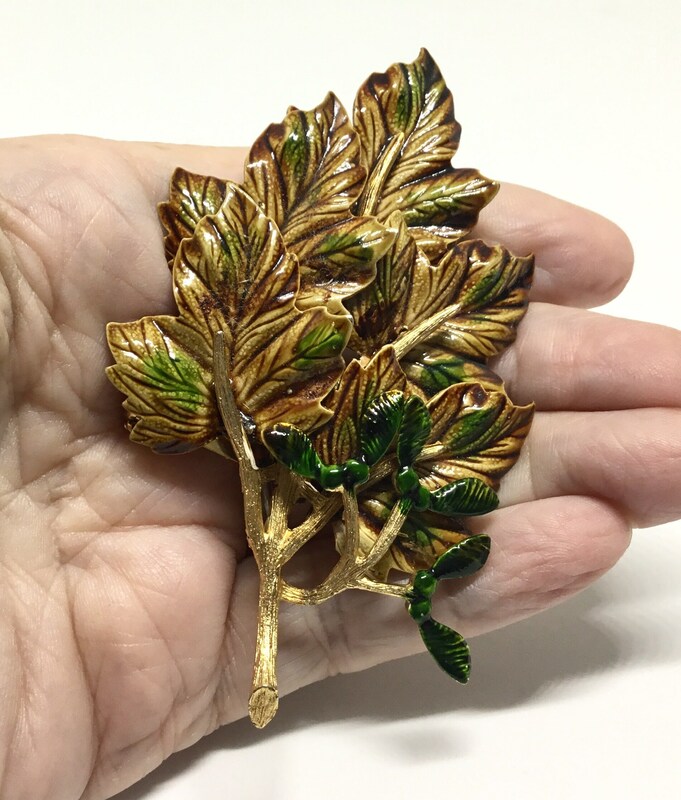 This is a great Autumn and Winter brooch and would look great on a jacket, coat, or hat!